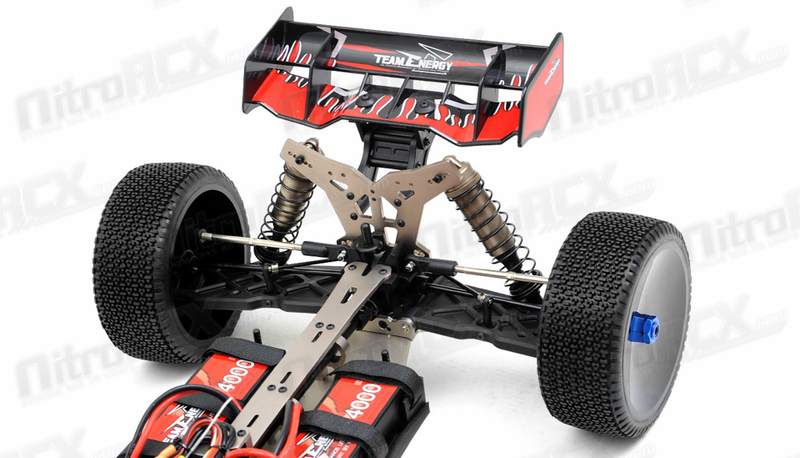 Team Energy has developed an all new 1/7 scale racing chassis. 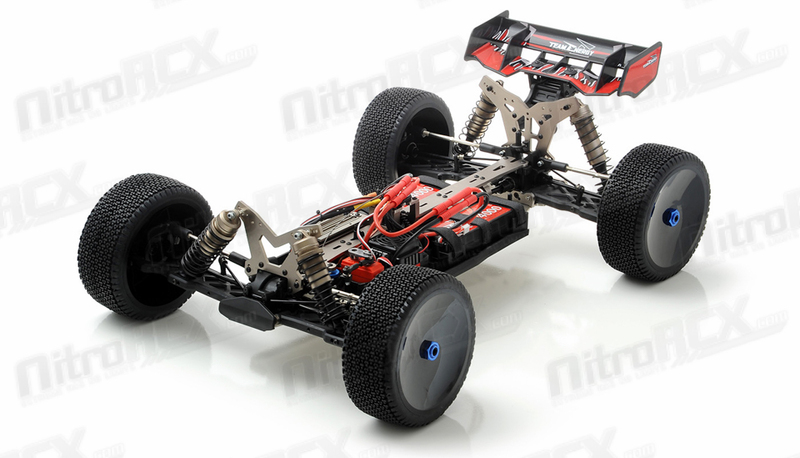 This machine is built solid and sturdy to handle tough terrain while its suspension and controls handle like a precision F1 race car. 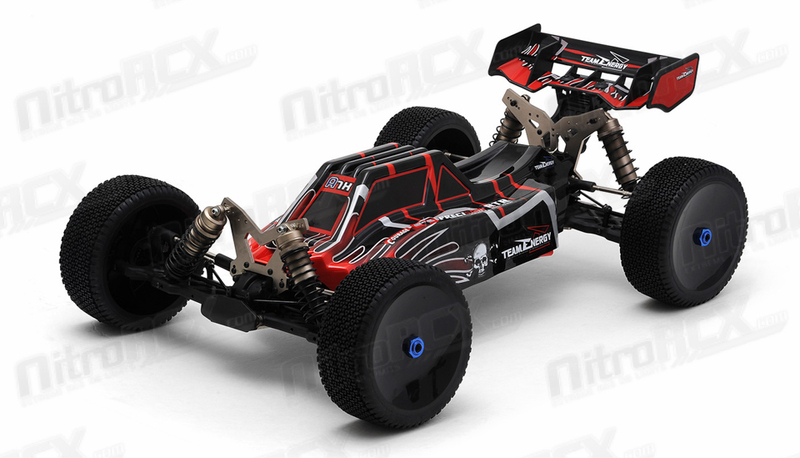 This is a ready to run buggy that you can take to jumps for big thrills or take it to a track for top level racing competition. 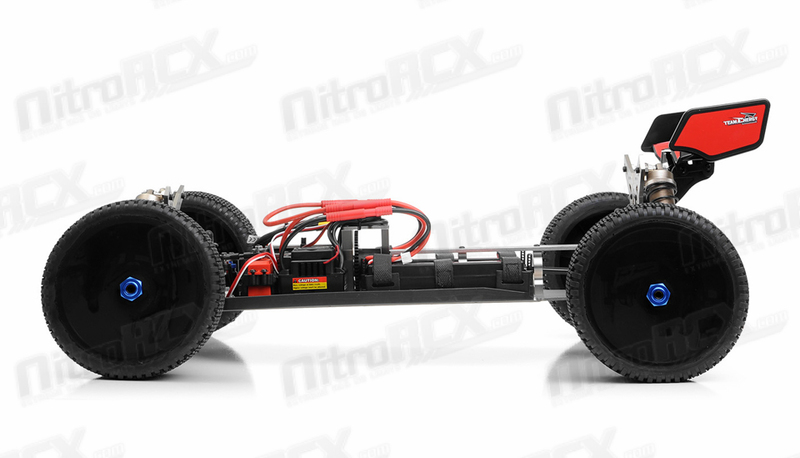 The A7X electric powered buggy has everything that a basher or racer would want packed into an amazing radio controlled racing vehicle. 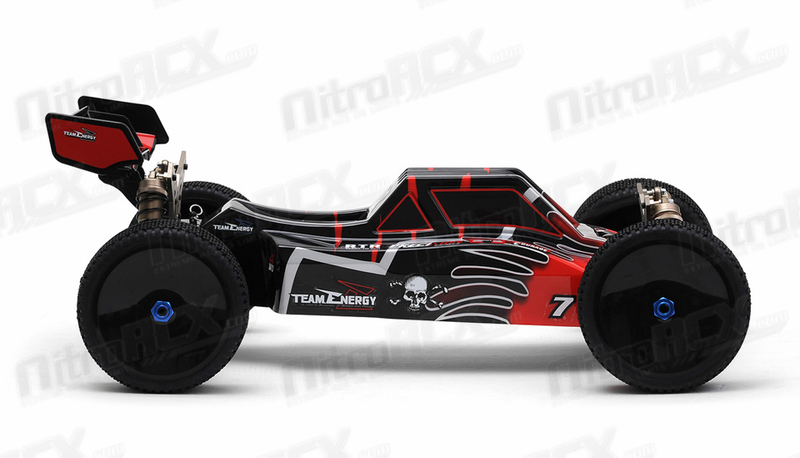 The Team Energy A7X has a long list of performance parts, making for the best and lightest 1/7 scale buggy on the scene. 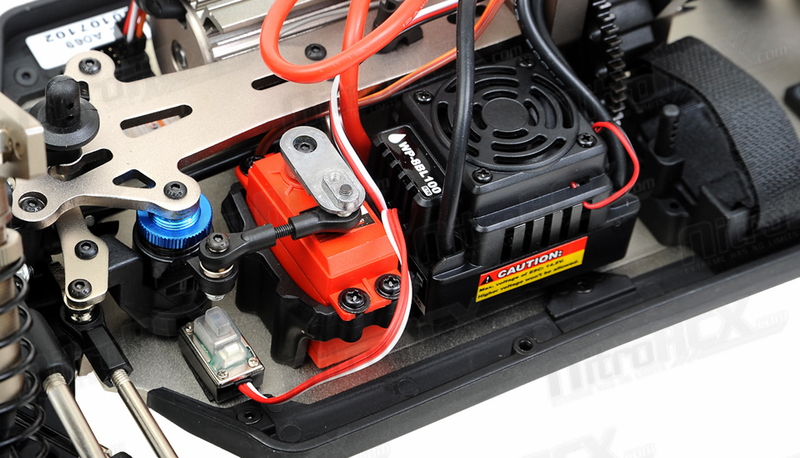 To start off, the A7X has a full 3mm thick 6061 hard anodized aluminum chassis. 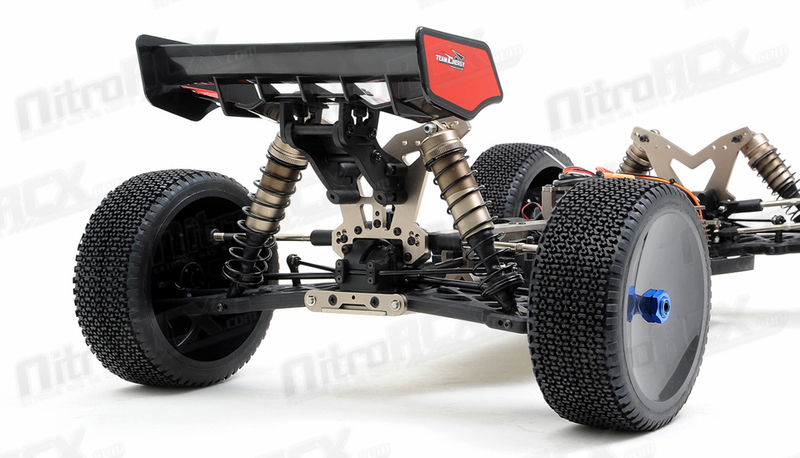 The new narrower chassis and side-guards shed weight compared to other buggies while allowing optimized weight distribution of the electronics mounting for improved overall handling. 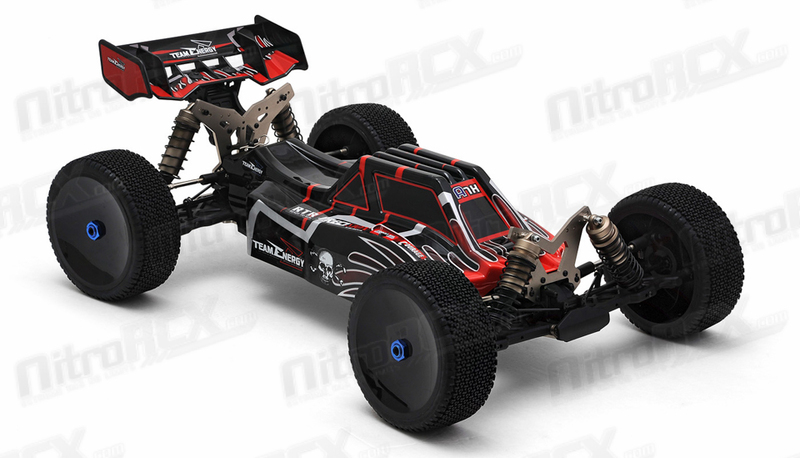 The A7X also has fresh designed suspension arms featuring centerline shock mounts and an optimized anti-roll bar position. 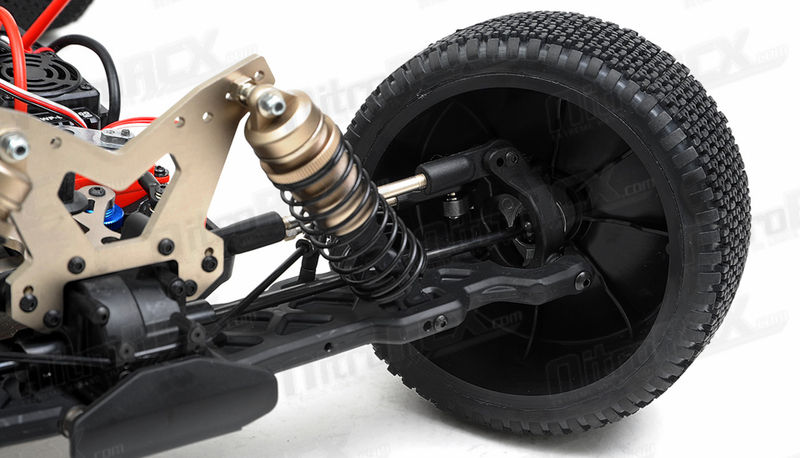 The new suspension arms were designed to work with the aluminum low center of gravity shock towers to improve and optimize the suspension geometry, making the A7X more plush and forgiving in rougher terrain. 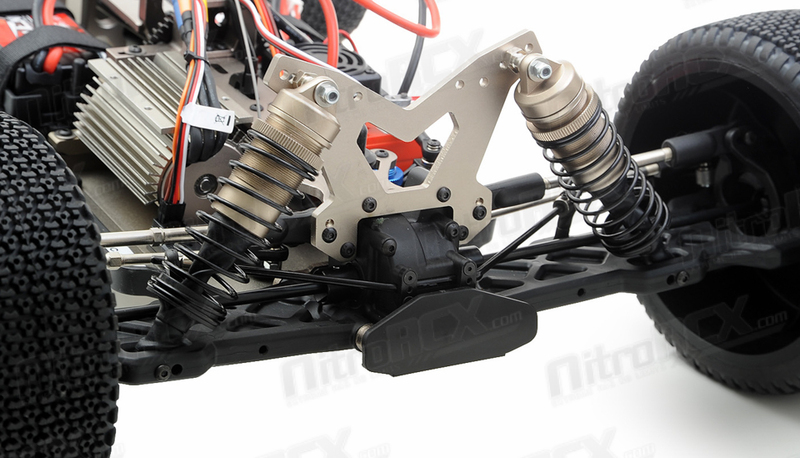 16mm Big Bore long travel aluminum and threaded oil filled shocks also help the buggy achieve maximum control over any terrain. 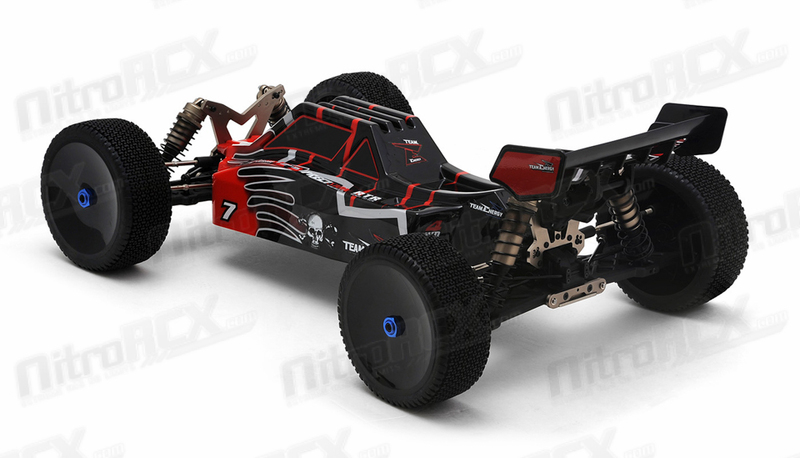 At both ends of the buggy, the A7X has everything you'd expect from an all-out competition kit, including thick anodized aluminum steering link with ackerman adjustment, adjustable roll center, thick adjustable turnbuckle links, aligned king pin and universal joint pivots, sway bars front and rear, steel adjustable turnbuckles, and adjustable shock mounting positions. 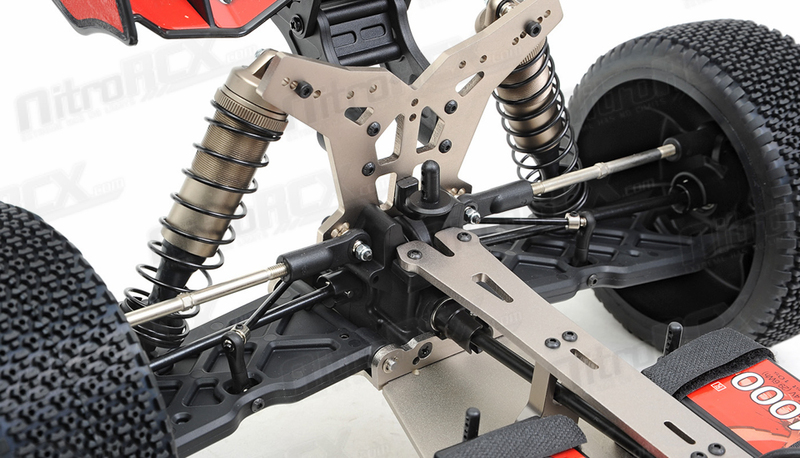 There are tons of adjustment that can allow you to tune this buggy any way you want it handle. 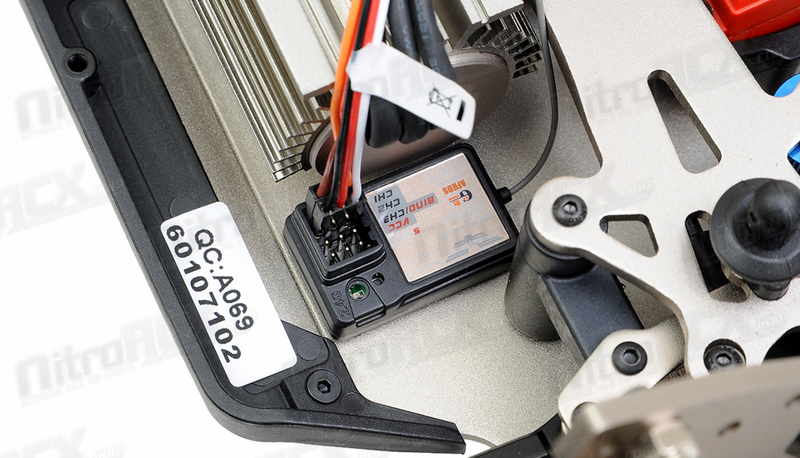 The factory settings are awesome straight out of the box for a wide range of running situations. 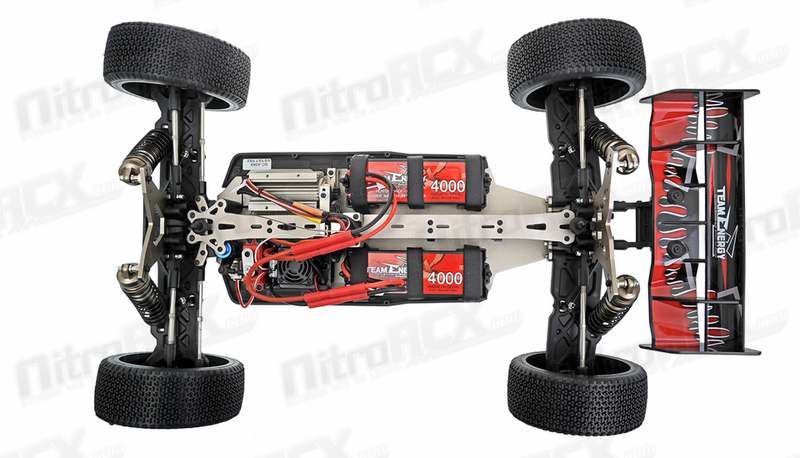 The A7X is a brushless powered buggy which means instant power unlike its nitro powered counterparts that require revving up an internal combustion engine. 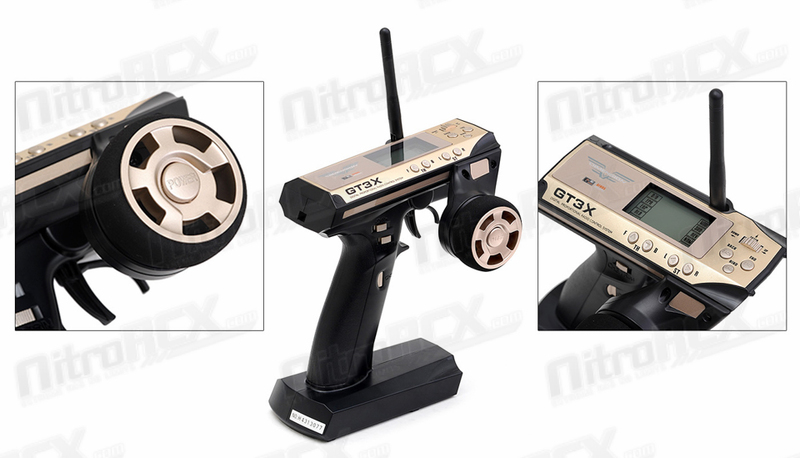 The power is ready to rock and roll on tap! 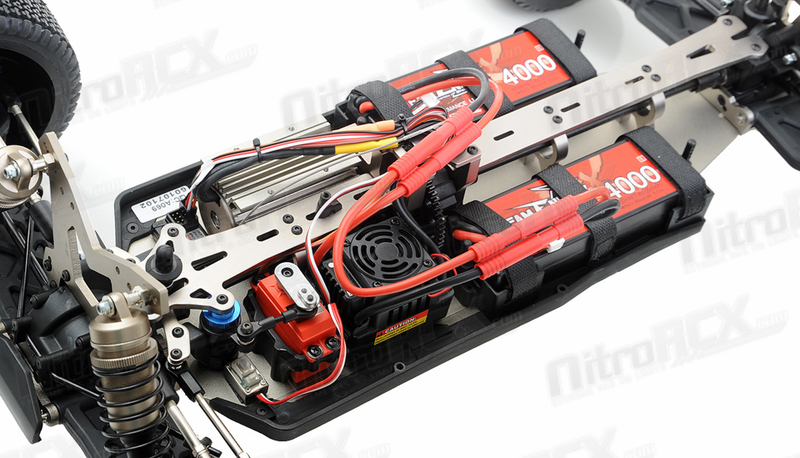 Dual 7.4v 4000mah battery discharges its juice into a 100amp waterproof speed controller. 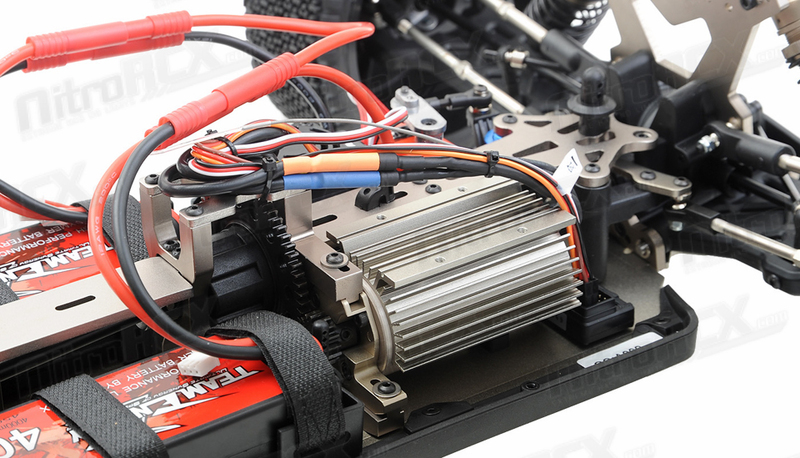 Spinning all that power is a 3674 2400kv high torque brushless motor. 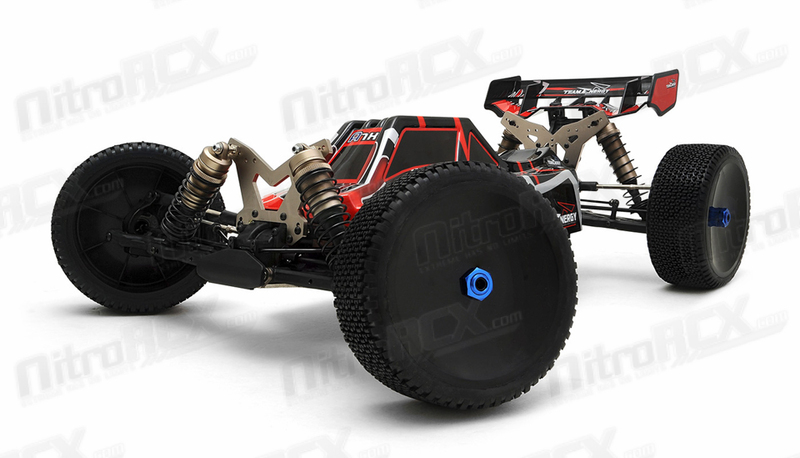 This setup tortures the pavement and dirt and makes wonderful dirt rooster tails. 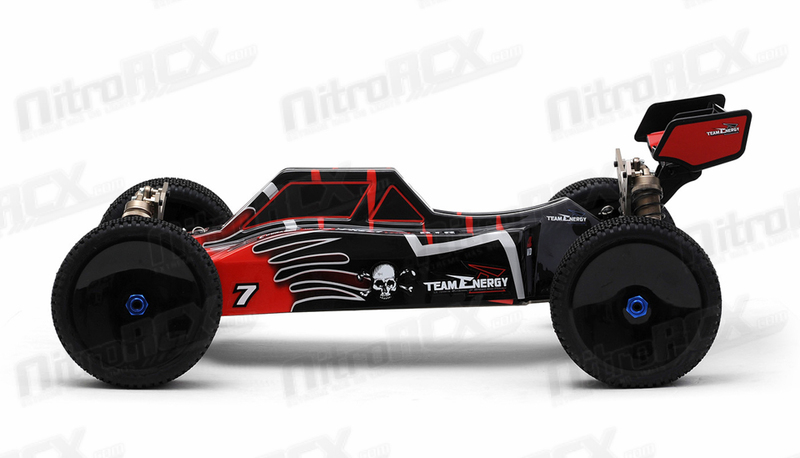 The Team Energy A7X is a seriously awesome package. 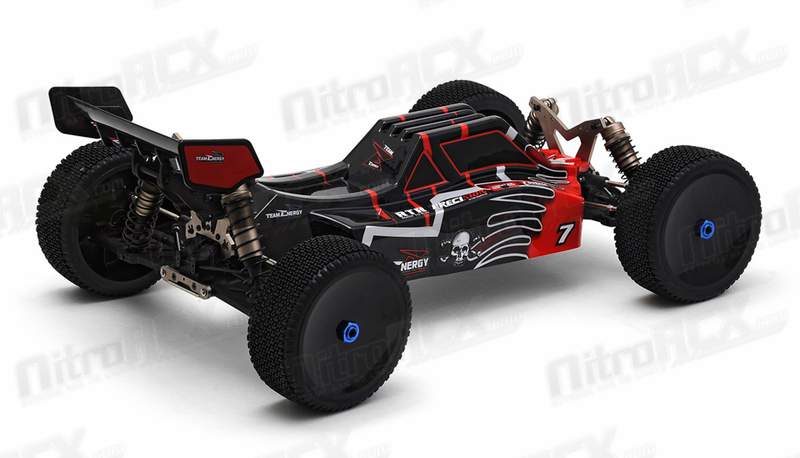 Elevate your buggy game to the next level with the new A7X ready to run kit, and drive what the winners drive!